Your Life Is in Your Chakras by Guru Rattana, Ph.D., is a comprehensive guide for developing the highest expression of all your chakras. You will learn how to use the chakra system for self-analysis, personal growth, and spiritual awakening. 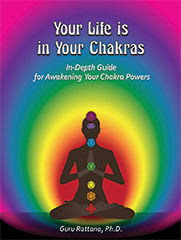 Detailed instructions teach you how to develop subtle inner awareness and tap into the powers of each chakra. 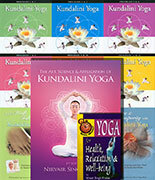 Kundalini Yoga and Meditations are given to work with your chakras in ways that elevate all aspects of your being. expand your understanding of yourself. find soul meaning and purpose in your life. awaken the powers, faculties, and gifts available in all your chakras. be uplifted and enjoy all aspects of your life. 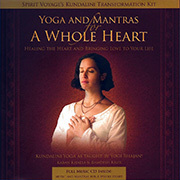 Internationally recognized spiritual teacher of Kundalini Yoga and Meditation, Guru Rattana offers perceptive insights into how the chakra system works, including how to listen to the voices of your chakras and how to develop chakra consciousness. Her wisdom, gained from many years of personal experience, teaching and study, will change the way you feel about both yourself and your life challenges. Gaining a soul perspective of why you are here and where you are going is a gift of incalculable value. You will learn to love your uniqueness, to find the passion of your soul, to welcome the richness of your human life, and to take every opportunity to make your own special contribution to the evolutionary unfolding of planetary peace and heart-centered consciousness.